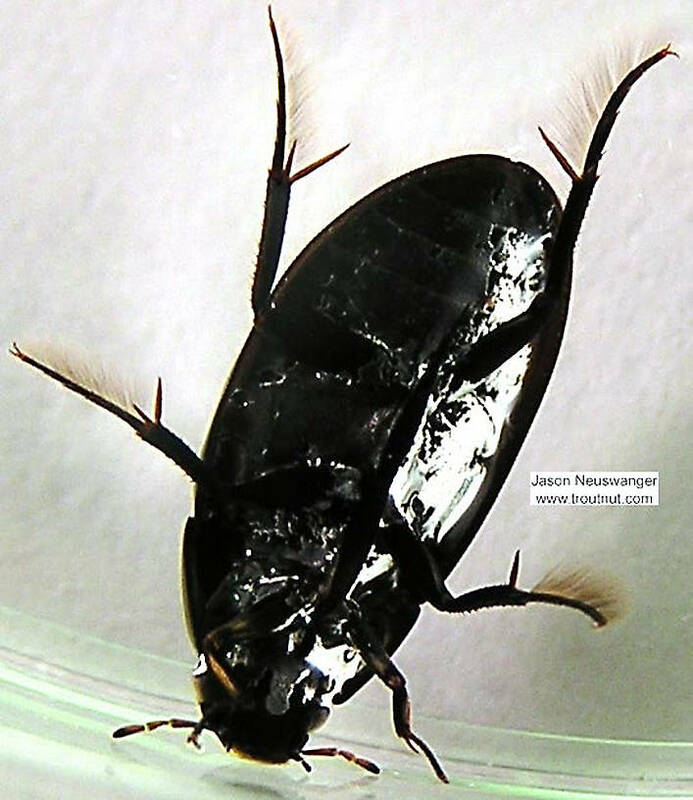 This is a water beetle. It is the hardest object in the world to pick up with tweezers. The second hardest is Mount Everest. 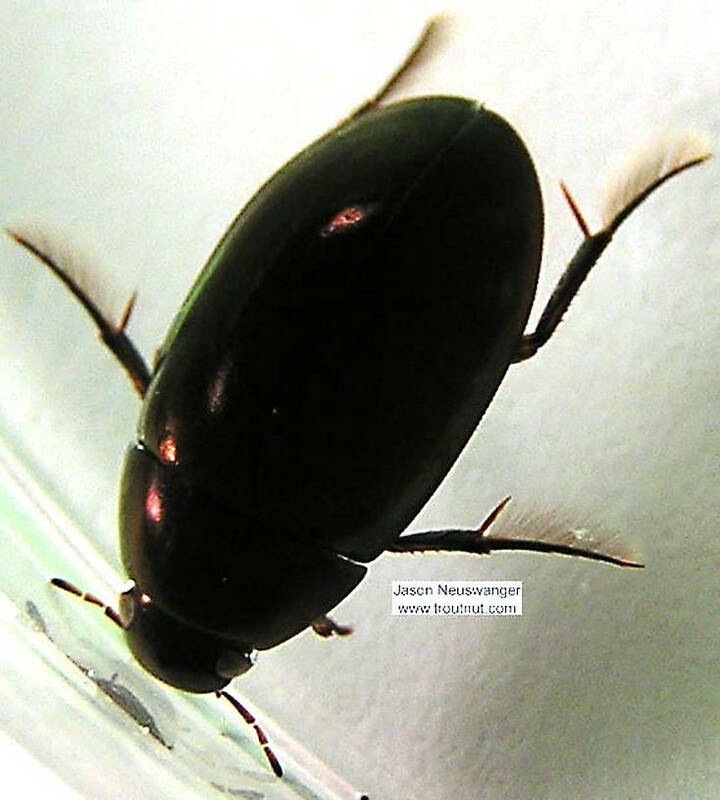 This beetle was collected from the Namekagon River on January 13th, 2004 and added to Troutnut.com on January 25th, 2006. I'm not great on beetle identification, but this one seems pretty easy--Hydrophilus triangularis. Beetles can be very tricky to identify. It has been my experience that it is extremely difficult to identify many insects to the species level based on pictures alone. It may not be able to be positively identified to genus either. The family is probably correct though, except the family isn't listed here. The family should be Hydrophilidae. Hydrophiloidea is a superfamily designation. Having said that, GONZO's ID could be correct (and if he has the experience, probably is), it's just not possible for me to confirm this.